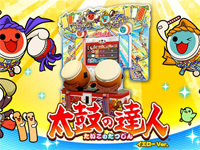 A new arcade game soundtrack is announced in the Generation Series collection from Brave Wave. The legendary music from Tecmo's Ninja Gaiden series is released in a newly recorded and restored version. GS-003 Ninja Gaiden The Definitive Soundtrack Vol. 1 and GS-004 Ninja Gaiden The Definitive Soundtrack Vol. 2 will be available for pre-order tomorrow at Big Wax vinyl store. Both releases contains 2 LP (orange and red for Vol.1 and blue and yellow for Vol.2) and a booklet. Ninja Gaiden The Definitive Soundtrack Vol. 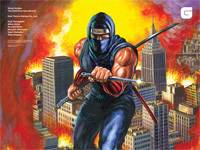 1 contains the complete soundtracks of both the arcade and NES versions of Ninja Gaiden. There are 59 tracks in total, with 31 for the NES edition and 28 for the arcade. 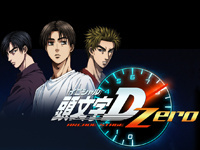 Music is composed by Keiji Yamagishi, Mikio Saito and Ryuichi Nitta. Ninja Gaiden The Definitive Soundtrack Vol. 2 contains the complete soundtracks of Ninja Gaiden II: The Dark Sword of Chaos and Ninja Gaiden III: The Ancient Sword of Doom. 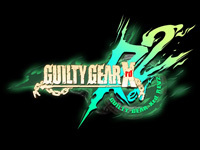 There are 29 tracks for Ninja Gaiden II and 30 tracks for Ninja Gaiden III. 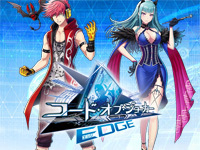 Music of these games is composed by Ryuichi Nitta, Mayuko Okamura, Rika Shigeno and Kaori Nakabai. Brave Wave also sells 100 limited edition box-sets including the 2 soundtracks, a special cover and an A5 post card signed by Keiji Yamagishi, Ryuichi Nitta and Kaori Nakabai and designed by the series illustrator Masato Kato. A non-signed boxset, a digital copy and a CD version can also be pre-ordered. Shipping is scheduled for July 1st. After more than 3 years of development, the final version of Skycurser is finally available as pre-order! 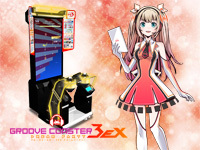 The action of this American horizontal shoot'em up takes place in 1996. The player is Guy Griffin, the last man on Earth not being infected by a plague originating from a star named Necrostar. His grandfather had a vision of things to come and built a special warplane: the Skycurser. It's time to use it to destroy the source of the plague. The plane is equipped with a machine gun, a shotgun and a Katana blade. The second player controls a mecha piloted by Guy's dog. The influence of Doom, Metal Slug and Splatterhouse is undeniable, it's brutal and bloody! 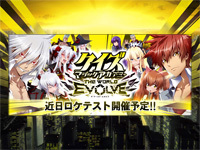 The current version of the game includes 4 levels but 2 new levels and new content will be sent for free to buyers in the coming months. 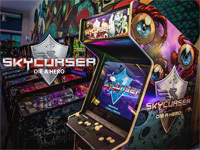 Skycurser is available in three different formats: the $700 pro kit including the Airframe system, the game, instructions and a poster, the $1200 deluxe kit including the rest of the decoration to turn any cabinet into Skycurser and finally the full machine featuring a 25" CRT monitor for $3500. 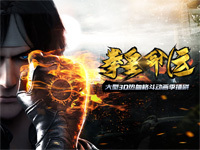 The game is scheduled for release on June 6th (the date on which the first orders will be sent out). 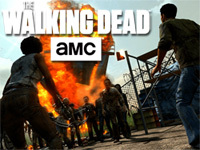 You will find pictures of all of this on our forum. A few words about the Airframe platform; developed by Griffin Aerotech in parallel with Skycurser, it is a JAMMA-format system running on Linux and accepting updates via Wi-Fi. Skycurser is the first game to be released on this system but other titles are in development including Founding Force (a beat'em all featuring the Founding Fathers of the USA) and Beach Dogs (a frisbee game like Windjammers with dogs).